Renting a party bus is a surefire way to make sure that you and your group have a GREAT time no matter what the occasion is. It’s also a safe and stress-free way to transport family members, employees, or just a group of friends out to have a good time. 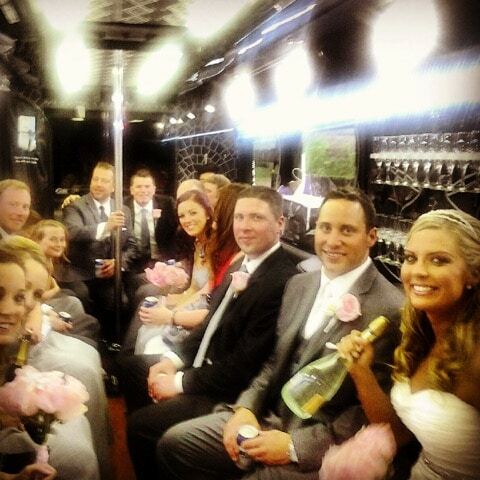 Follow these simple tips to ensure your party bus rental with Rockstarz Limousine & Party Bus is immaculate from start to finish. Plan Ahead! Make a Reservation! No matter what occasion you need a party bus for, you should always book the party bus rental as far ahead of time as possible. Often times, we have multiple bookings for the same event, so to ensure that you get the vehicle that you want, make sure you book well in advance. Part of having a good time with your party bus rental is making sure that you have the right vehicle to accommodate your group. The last thing you want to do is book a vehicle that is too small or too large for your group. On top of this, each luxury vehicle we offer here at Rockstarz is different, and each event is different. A party bus may be appropriate to shuttle guests or the wedding party, but a limousine is more appropriate to carry the couple off into the sunset. If you call us, we can help you decide which one of our fleet vehicles is right for your event and group. Some of our vehicles have a mini bar where you can stock your beverages to make sure that they are cold while you ride. We do not permit eating inside of the party bus, so plan accordingly for feeding your group – either by eating before or afterwards, or during a stop made on your route. If you are going to have multiple stops, plan your itinerary ahead of time so that you can make sure that everyone has a great night, and we can make sure that our driver knows where to be at exactly what time. If you are planning pickups, organize the times of pickup for each member to keep everything on schedule and on budget. Your professional party bus driver has transported hundreds of groups, and is happy to serve you and your group for your occasion. Be courteous and avoid taking part in activities that may damage the vehicle, or are illegal. The rules of renting a party bus are relatively simple, so enjoy your night and be respectful of your driver and vehicle!